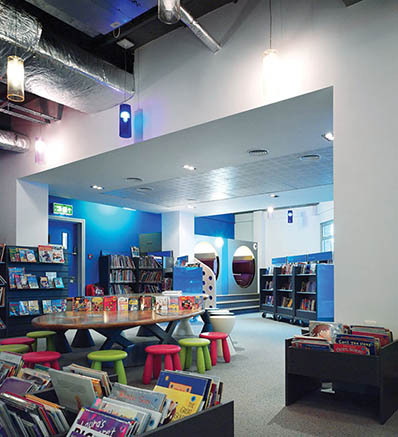 Grays Library is part of a major phased refurbishment and redesign of the Thameside Centre, with local history museum and theatre in the same building. 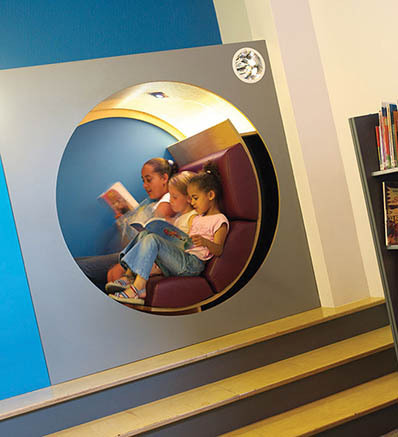 The centre now has a thriving cafe, internet zone and information desk in the foyer; the library has a learning multizone, heritage zone linking with the museum, and an innovative children's library designed in collaboration with a team of child psychologists: with reading 'dream booths', a Harry Potter feasting table, an indoor garden for 0-3 year olds complete with gnomes. 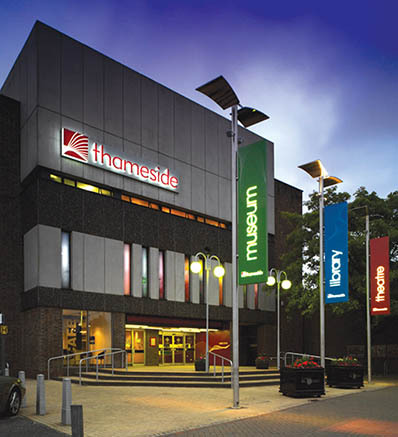 The Thameside centre has been rebranded, with a new signage and graphics system to communicate its role as a cultural centre and focus of regeneration within Grays.